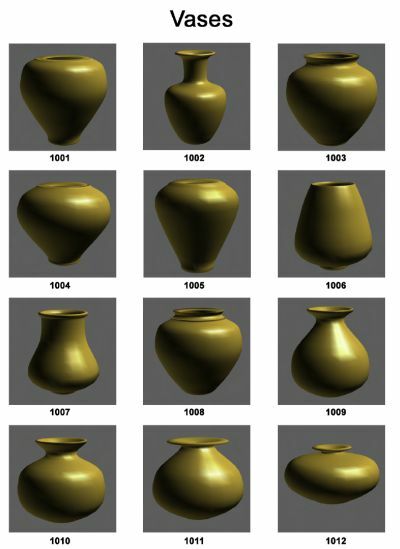 Designing a segmented vessel should always start with 3D Design PRO. Lamination PRO ONLY - this purchase does not include 3D Design PRO or Woodturner PRO. Authorization code will be emailed to you within 24 hours. A trained expert will work with you over the phone while using screen sharing technology. Training can be purchased separately either before or after purchase of software. Retrieve Lost Authorization code with a Software Backup CD. Sample files are organized in folders such as hollow forms, open forms, closed forms, boxes, candlesticks, urns, vases and goblets. You can download a picture from the internet and then trace over the picture to create your own wall profile. Use the overlay to see height versus width Fibonacci ratios. 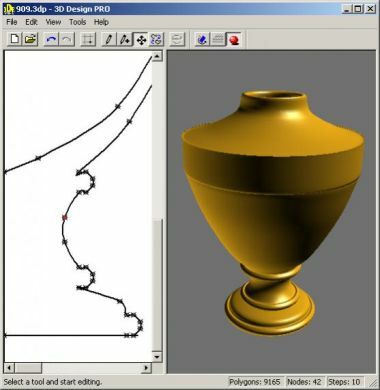 Use major Golden Section lines to see where to position the widest part of the vessel. Use minor lines to determine how wide the mouth and base of a vessel should be relative to the overall width. For pre-sales questions about of software, please refer to our Frequently Asked Questions. 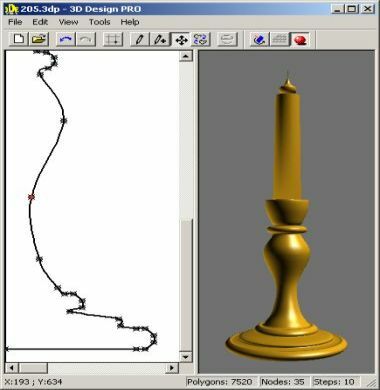 3D Design PRO is a graphical curve editor designed specifically for woodturners. You can draw and edit 2D curves and in realtime see a 3D shaded preview of the vessel. You can rotate, zoom in and zoom out the 3D image to view it from different perspectives.Just use the pencil tool to add curve points that represent the wall profile. Continue adding points until you have created an spline (half of the profile of the vessel). 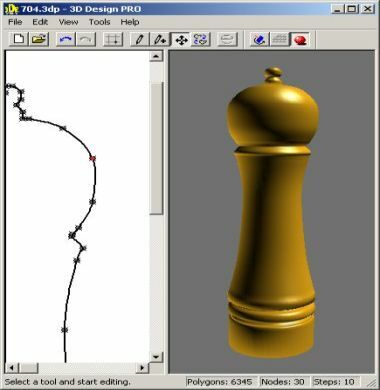 Once you have placed points on the 2D Edit Window , you can move a single point, multiple points or all points and immediately see the results in the 3D Preview Window. You can delete points or insert new points anywhere along the spline. To help you get started with designing 3D Vessels, we have created over 100 drawings for 3D Design PRO. They have been organized in categories including: Boxes, candlesticks, closed forms, goblets, hollow forms, open forms, pepper mills, platters, urns and vases. 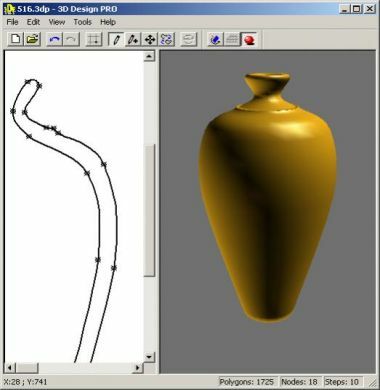 During the installation, these vessels are placed into a folder named 3D Vessels that you will find in your Documents folder. CLICK HERE to download a multi-page pictorial index of the included sample files.